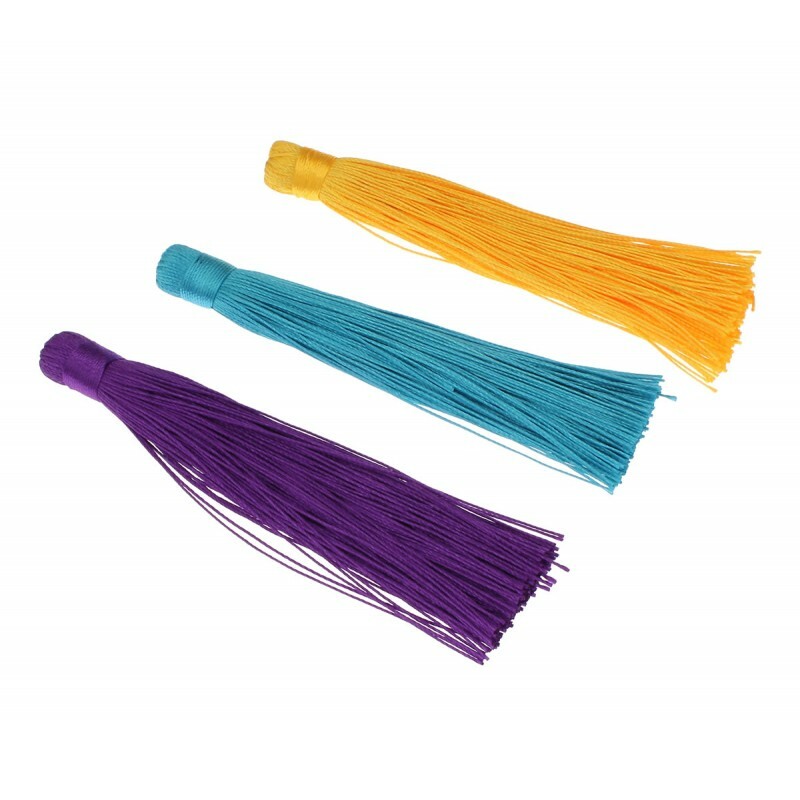 Colorful tassel for crafts and costume jewelery. This fringed tassel of thread has a satin sheen and a very soft feel. Its length is about 12 cm. 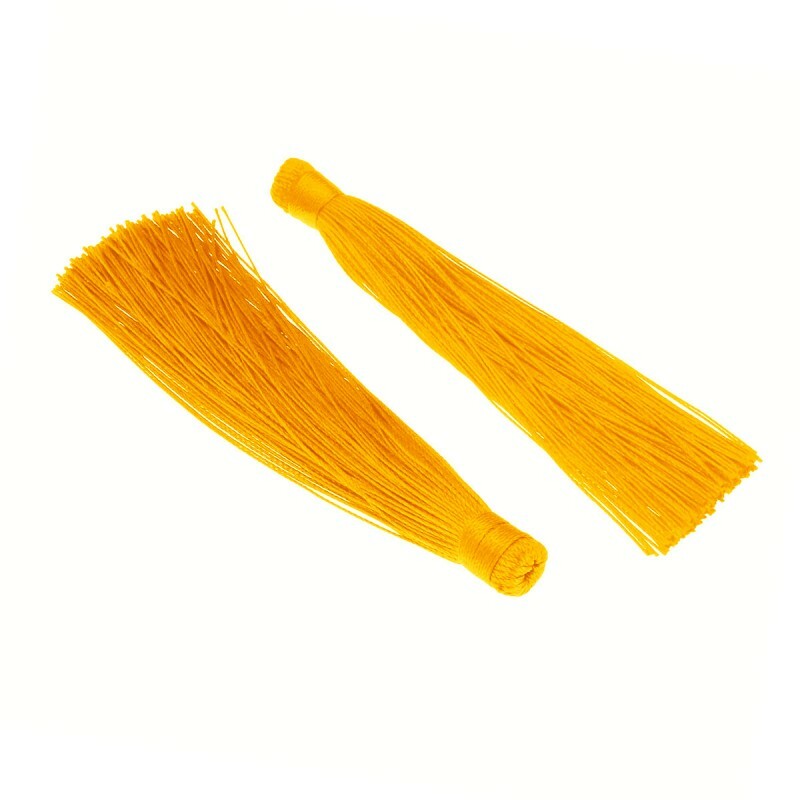 It is ideal for the elaboration of articles of costume jewelery (like necklaces or rosaries), complements or articles of decoration. 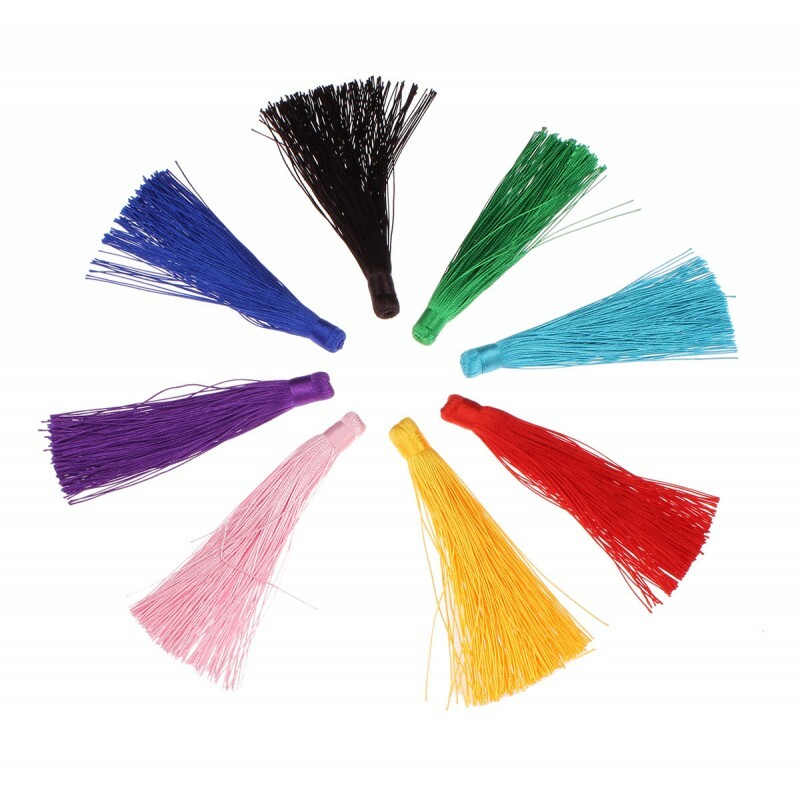 It presents different colors to combine with other beads, semiprecious stones or adornments, and to perform customized pieces.